Making his first start for Sunderland since Gameweek 10, Wahbi Khazri (£6.0m) was awarded the maximum Fantasy Premier League bonus points in Saturday's 2-2 draw with West Ham United. The midfielder scored his first goal of the campaign, direct from a corner kick, and also produced five key passes to register 29 in the Bonus Points System (BPS). Two players recorded 28 in the BPS to earn two additional points apiece. Introduced from the bench for a three-minute cameo, Fabio Borini (£5.1m) got Sunderland's late equaliser. James Collins (£4.2m) claimed bonus points for the visitors after scoring West Ham's second. Heading home Robert Snodgrass's (£5.6m) corner, the centre-back also made 14 clearances, blocks and interceptions (CBI) and completed 81% of 37 passes. With nine attempted crosses and five chances created, Khazri recorded the highest Creativity score (60) of the match, helping him to an overall ICT Index score of 13.2. He also produced four shots on goal to score 28 for Threat. But Jermain Defoe (£7.6m) ranked top for that element of the Index with a score of 66. The Sunderland striker produced three shots on goal, two of which arrived from inside the opposition' penalty area. It was Defoe's highest Threat tally since Gameweek 20. Despite recent signs of improvement, Defoe missed out on points for an eighth successive Gameweek. Four of Sunderland's next four matches score only two in the Fixture Difficulty Rankings (FDR), with two, Swansea City (H) and Arsenal (A), falling in Gameweek 37. But with competition in FPL forward lines now fierce, faith in Defoe remains in rapid decline. The striker has lost 182,000+ owners in his last three Gameweeks and is second only to Chelsea'sDiego Costa (£10.3m) for sales among forwards. As one of nine sides without a Double Gameweek to come, Fantasy interest in West Ham is also decreasing. Andre Ayew's (£7.1m) form as an FPL midfielder remains one bright spark. 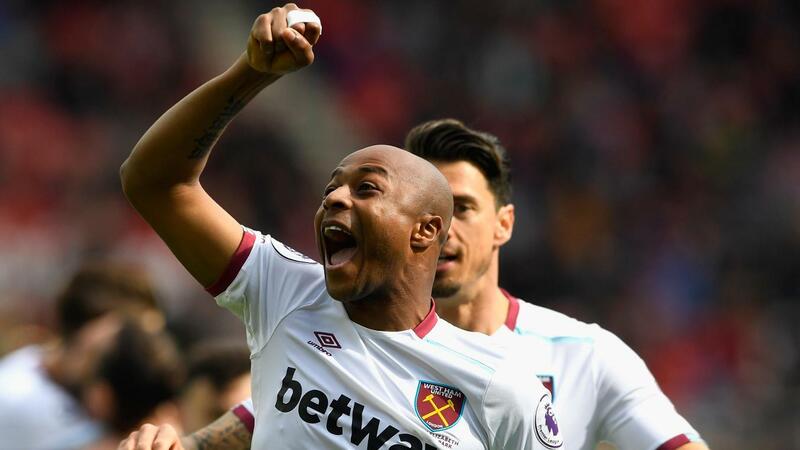 The scorer of the opening goal, Ayew has four goals in his last eight appearances, despite that streak including only five starts.